Broadland Cycle Hire is part of the network of cycle hire points throughout the Norfolk Broads supported by the Broads Authority. A series of route maps, produced by the Authority, is available with your hire, if required. 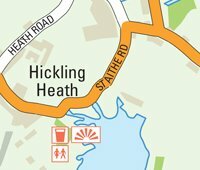 These routes cover the whole area of the Broads but those closest to our centres are described below. Barton Broad Visiting Horning, Irstead, Neatishead and Asmanhaugh. Bure Valley Path Visiting Coltishall, Buxton and Aylsham. The Weaver’s Trail To Bacton Woods visiting Worstead and Honing. The Broadland Churches Trail This can be a ride of up to 35 miles for the enthusiastic cyclist but it uses sections on more main roads and so is not suitable for less confident cyclists. Along the route there are 15 of Norfolk’s famous medieval churches. Coltishall Common An easy ride to Coltishall common on the river Bure with a short section along the Bure Valley Cycle path alongside the Bure Valley steam railway. A Short Circular Circular ride to How Hill, Potter Heigham and the ruined St. Benet’s Abbey. The Broadland Rivers Route across the river Bure by ferry to Ranworth, Salhouse and Wroxham. 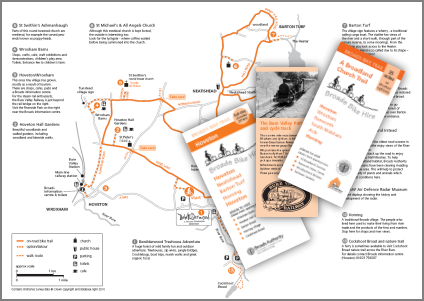 We have recently produced a booklet containing details of all these recommended routes which can be downloaded from The Broads by Bike website. The best Ordanace Survey map for cyclists, covering the area around the Broads, is the OS Explorer Series Sheet No. 40 (for purchase see: Ordnance Survey ). 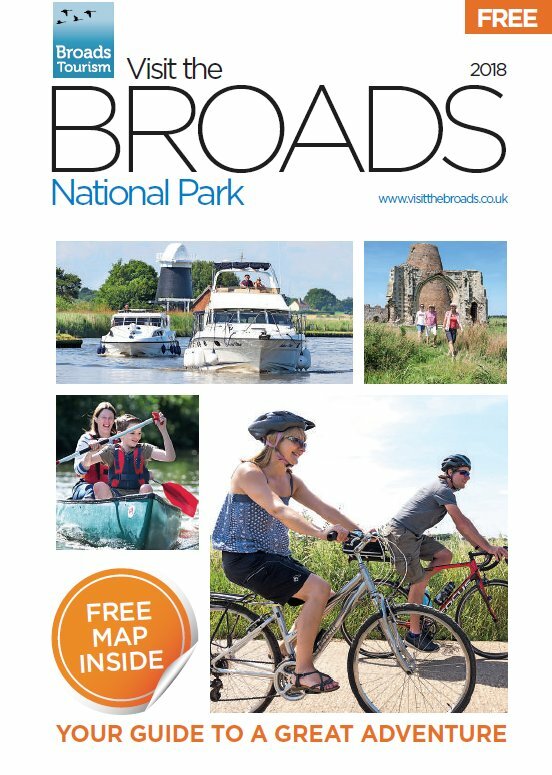 This leaflet has been produced for the Broads Authority, with funding from EEDA, describing many opportunities for discovering the Broads by bike. 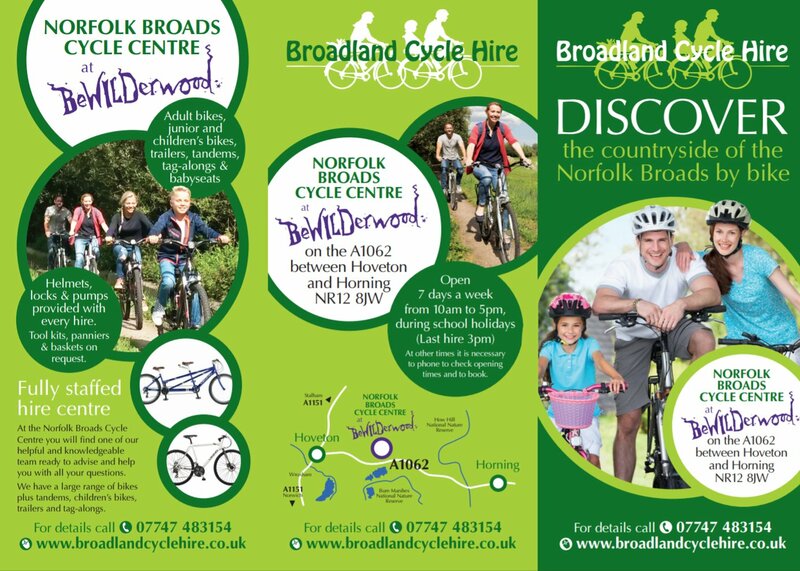 Broadland Cycle Hire is a member of the Bike Hire Association, which publishes useful cycling route information under the title "The Broads By Bike".